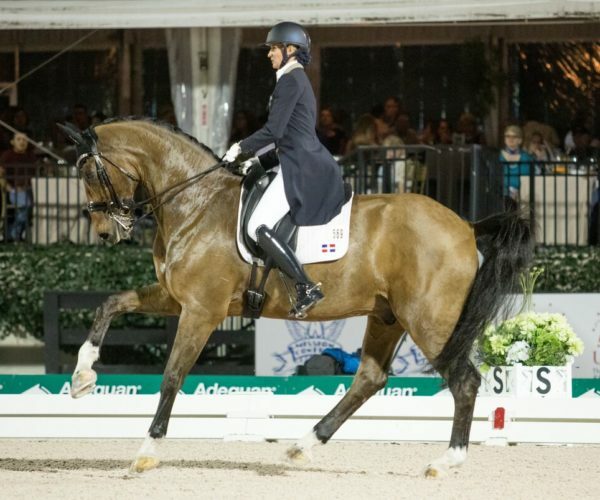 Foco Loco, or Dobbie, is a 18-hand bay 2005 Belgian warmblood gelding that Yvonne found by accident during a buying trip to Europe. His bloodlines represent old Dutch and German breeding trends, which clearly show in his massive bone and strength. 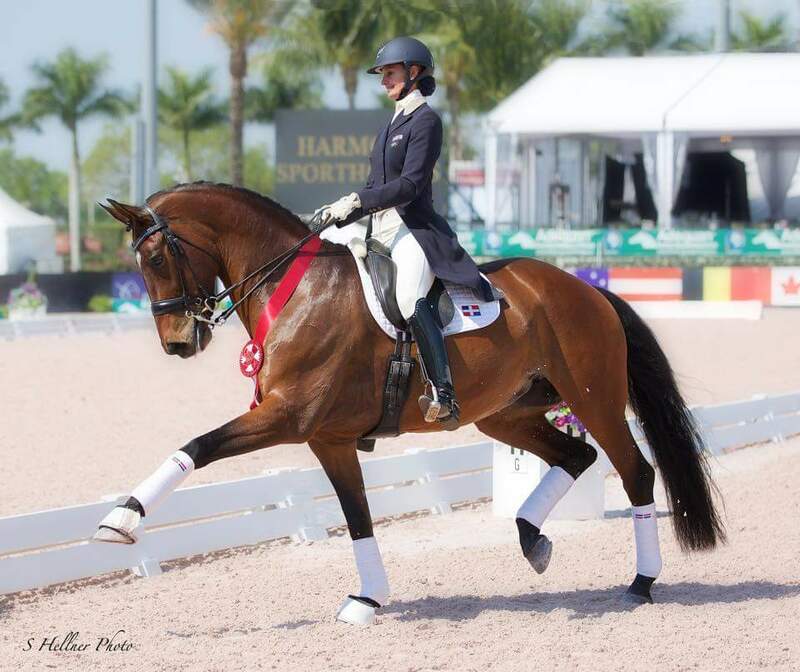 When he was purchased late 2013, he was competing at approximately third and fourth level tests in Belgium. 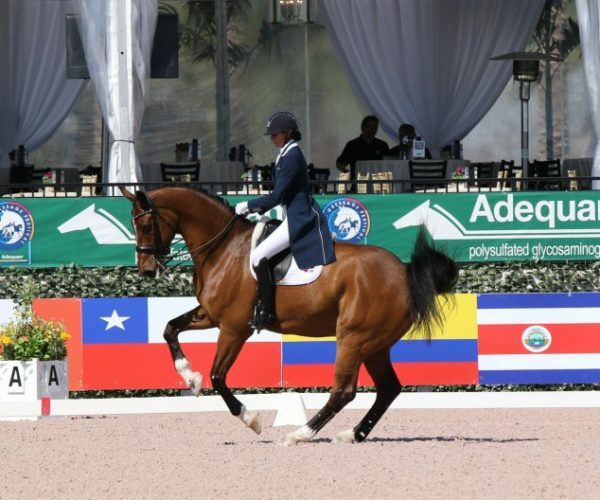 His unique conformation and shy personality where a challenge, but he quickly developed under Yvonne’s guidance to a strong competitor, earning two medals at the 2014 Central American and Caribbean Games and securing an individual berth for the Dominican Republic for the 2016 Olympic Games. 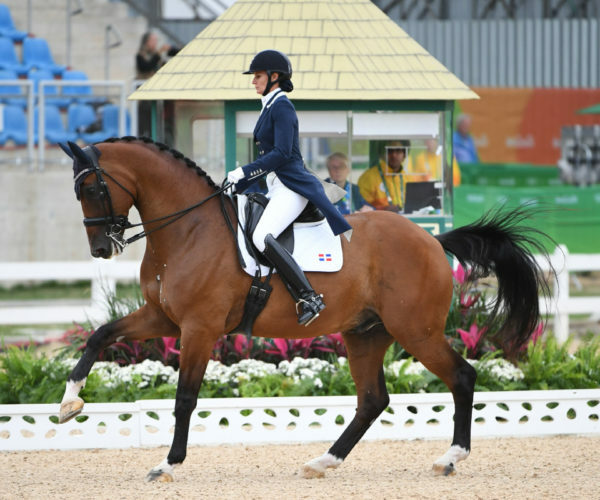 Following participation in the Olympics, he is being prepared by Yvonne for participation in the 2018 World Equestrian Games. 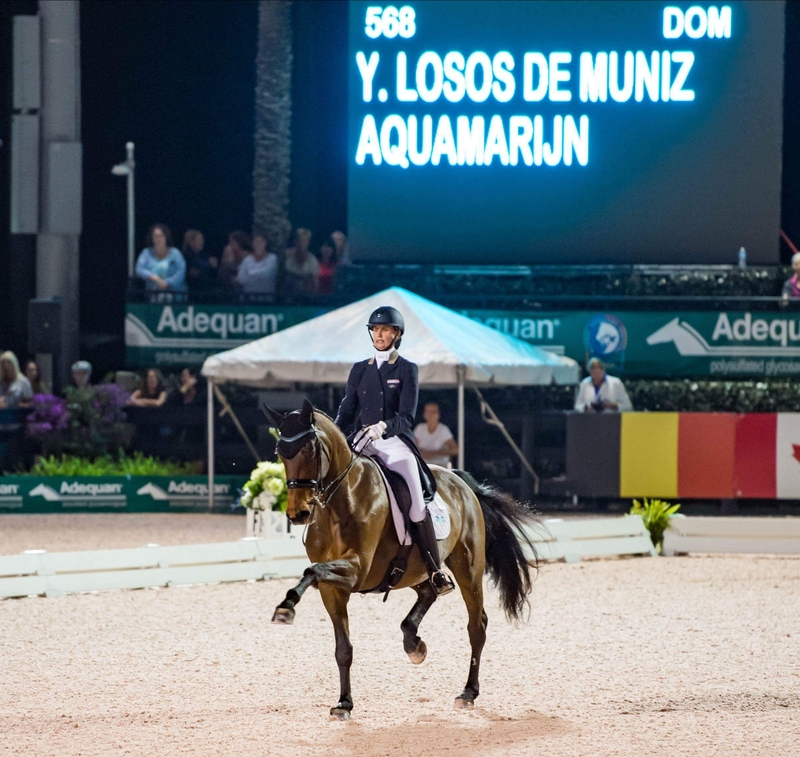 Aquamarijn was purchased from a Young Rider in Holland who had trained her from a three-year old to the Young Rider level. 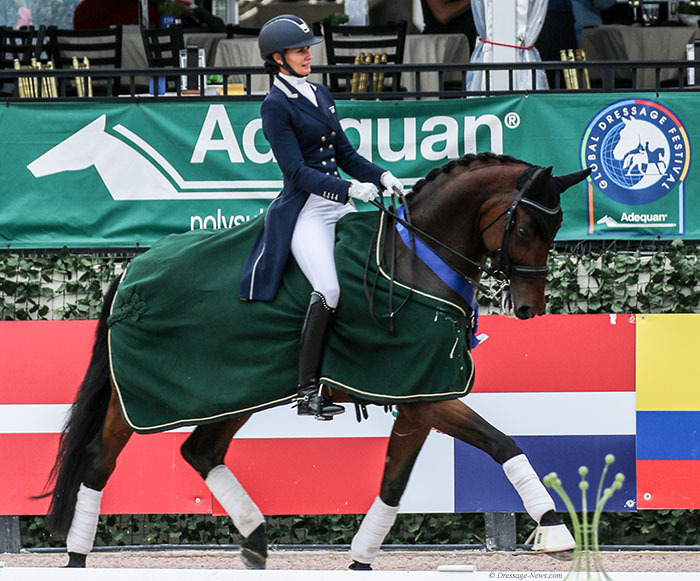 Aquamarijn is a powerful, strong-willed mare with a beautiful conformation and exceptional athletic ability for all the Grand Prix movements. 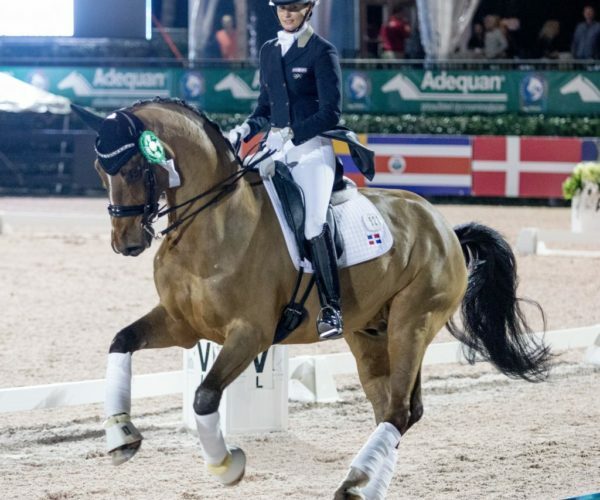 Yvonne has shown her with great success, including scores of 70% and second place-finishes at Grand Prix in CDIs during the 2017 Global Dressage Festival in Florida. 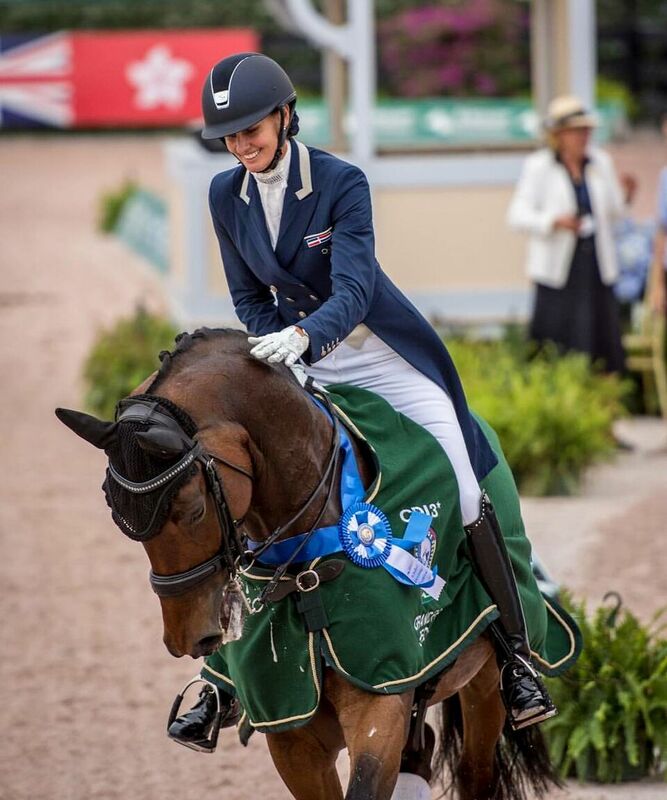 She has also competed in France and Spain, and is already obtained the qualifying marks for participation in the 2018 World Equestrian Games.